An original founder member of Architects for Health, Former Chair and subsequently Life President, Dr Ann Noble has died peacefully after a long illness. She had a distinguished career in practice, teaching and lecturing internationally and had collaborated with and advised many leading practices including Ted Cullinan, SOM and HOK. Ann Peerless was brought up in Somerset and studied at Bristol University, where she met her future husband, Paul, both reading architecture. 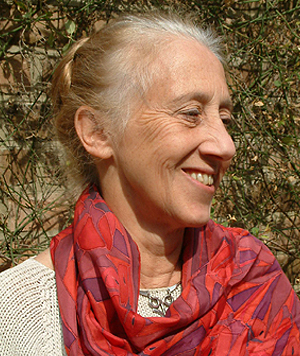 She gained an MA in Sociology from the University of Essex in 1967, registered as an RIBA Chartered Architect in 1971, gained a Diploma in Town Planning from the then Polytechnic of Central London in 1974 and a PhD from Bristol in 1988. Following three years working in Libya on social housing, Ann began Research & Development work for the Department of Health and Social Security (DHSS) Hospital Building Programme. Thus began a lifelong interest and passion for healthcare architecture, taking her to the very top of that profession and international acclaim. 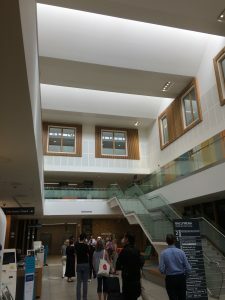 For thirteen years from 1976, Ann was engaged with research and teaching at the Medical Architecture Research Unit and there established an advisory and facilitating service for General Practice Premises, and other primary care building developments for Inner London. At MARU, she was pivotal in teaching and mentoring the Masters Degree course in health facility planning, attracting students from across the globe. 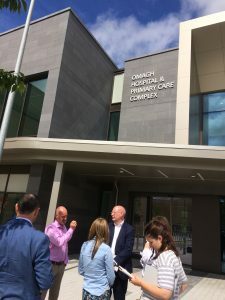 Ann Noble Architects was established in 1989 and became renowned for expert advice and sound knowledge as well as designing and delivering a range of highly regarded healthcare buildings. The practice continued to gain commissions for assessment and evaluation, a mainstay of Ann’s belief in the value of structured research to inform decisions and future schemes. 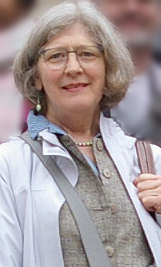 Ann’s research portfolio is extensive and a continuing thread through her career, from a survey of shantytown dwellers in Benghazi and Tripoli for the Libyan Ministry of Housing in 1970 through to evaluation of wards, whole hospitals and dozens of primary care centres to patient safety research in 2007. Many of her papers were published by MARU and the Nuffield Trust book “50 Years of Ideas in Health Care Buildings” which Ann co-authored in 1999 is a definitive review of healthcare over the lifetime of the NHS. 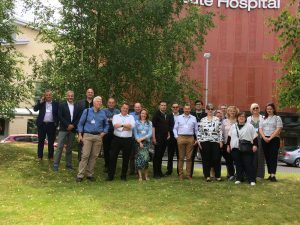 Around 1990, as most in-house healthcare design services were abolished by the government, a small group of likeminded architects and others set up Architects for Health, as a means of continuing a thread of mutual learning and information sharing across the professions. Ann was among those early pioneers and the organisation grew in stature and membership. 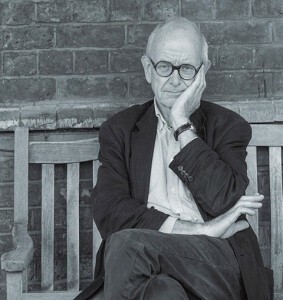 Professor Raymond Moss held the chairmanship until 1998 when Ann Noble was elected to that position, which she held for ten years. 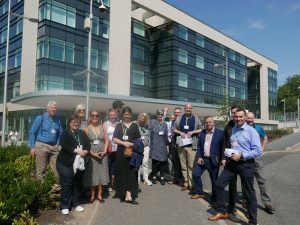 During Ann’s tenure, Architects for Health developed a vibrant and varied programme of events for members, attracting guest speakers from across the healthcare world. The international visit programme was inaugurated by Ann, the most notable of which was a study visit to Japan in 2005 by a group of members and hosted by the Japan Institute of Healthcare Architects. That relationship is particularly poignant as the lead host was Professor Yusushi Nagasawa, who had been one of Ann’s students on the MARU course some years earlier. In 2009, Ann received the Lifetime Achievement Award at the Building Better Healthcare Awards. Her citation includes this sentiment; “Ann has devoted her professional life to promoting excellence in healthcare environments”. Those words reflect a career, a lifelong passion and a depth of knowledge and dedication which her friends and colleagues will recognise. Ann’s influence and determination, imparted with kindness and good humour, has been the inspiration for many in the professions she worked with and knew. Ann married Paul Noble in 1966 and they had a son, Jacob and a daughter Sophie, both of whom practice as professionals in the built environment. Behind the consummate professional, Ann was the caring matriarch of a loving and close family who enjoyed each other’s company at home and on fondly remembered holidays. The birth of her grandchildren was a source of great pleasure to Ann in her latter years. Ann gave of her time and experience freely, mentoring and advising colleagues and protégés alike. She had the rare capacity of understanding healthcare architecture comprehensively and the rare gift of encouraging and enthusing others towards greater excellence in that field. To make a donation to the Alzheimers Research Trust in Ann’s memory, please go to this web address http://ann.noble.muchloved.com where detailed instructions are available. Design-cost estimation documentation shall be prepared in line with construction norms and regulations effective in Georgia, and in accordance with European Standards. If any members are interested in taking up this challenge please send your statement of interest to us at General Enquiries on our Contact page. Your details will be forwarded to the company for their information and action. The European Healthcare Design 2017 – Call for Papers – have now been launched. Organised by Architects for Health with SALUS Global Knowledge Exchange. 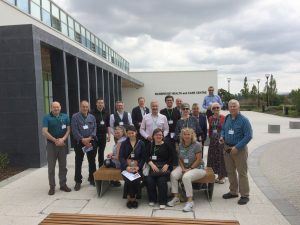 Landscape Gardens and Health Network is an online resource for anyone interested in the role of gardens and designed space for health. It features current research and events that show the therapeutic value of gardens and green space. Landscape is taken in its broadest sense, embracing the natural and designed environment, highlighting its many relationships to human health and wellbeing.